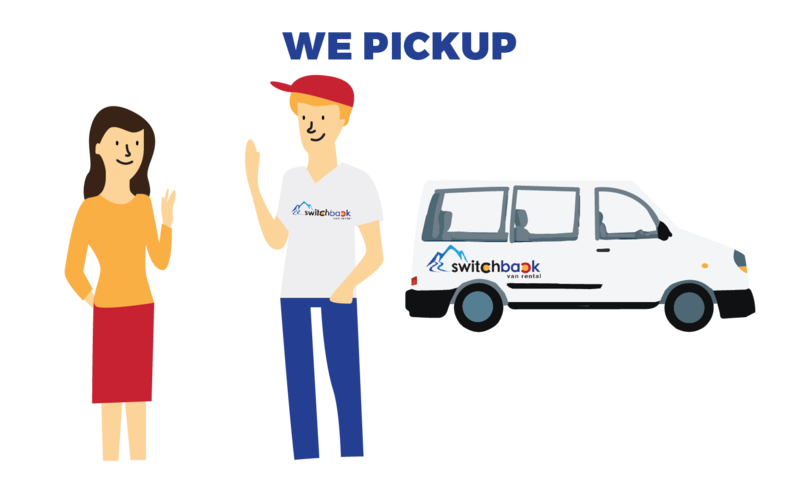 Switchback will deliver your van to your address. You take care of everything electronically before the vehicle is delivered. No lines or hassle. Rates for delivery vary depending on exact area. Once you are done with your vehicle we will come back to pick it up! 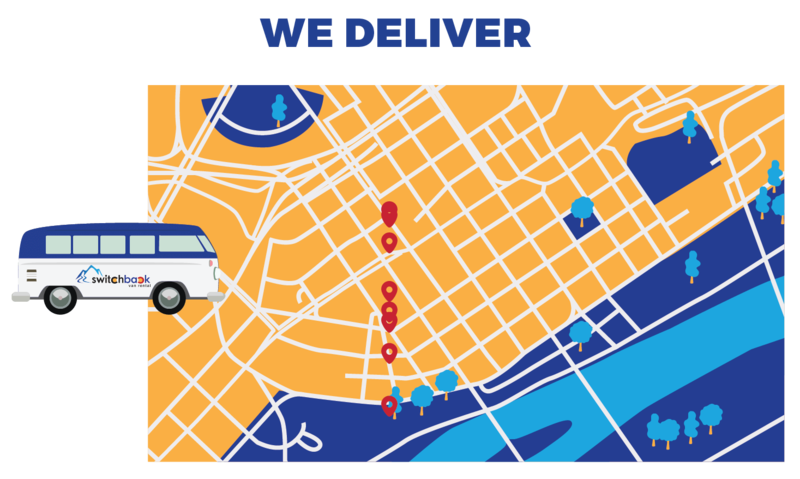 If you need to return to a different location than pickup just ask our support team to see if it’s possible. Once all your paper work is handled we take a video of your van and check it out to you. You will receive a code to open the lockbox on the back of your van once this is done. Enter the code, take the keys, and off you go! You return your van to the location selected and put the keys back in the lockbox. We come pickup your van and check it in. That’s it.